John Pollock is joined by Phil Chertok to review the UFC 234 card from Melbourne, Australia on Saturday night. 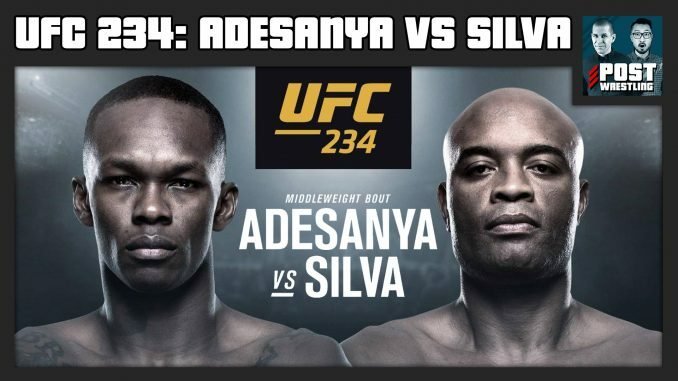 The two will discuss the circumstances behind Robert Whittaker being pulled from the card hours before he was scheduled to fight Kelvin Gastelum for the middleweight title, the new main event between Anderson Silva and Israel Adesanya and all the notes from the show. Plus, a rundown of all the fights from Melbourne, how this card will do on pay-per-view, the ESPN effect put to the test, upcoming fight cards & lots more.